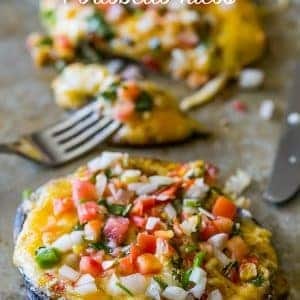 Cheesy, low carb and delicious- these taco stuffed mushrooms are full of flavor – and they are naturally grain and gluten free! I am a total carb-aholic. It doesn’t matter what it is- chips, cheese, starches, breads…. give me carbs, and I’m a happy girl. But my waistline is a lot happier when I cut them back- and I’m trying to re-introduce a lower carb diet, so I’m back to coming up with interesting meals to add to my repertoire. 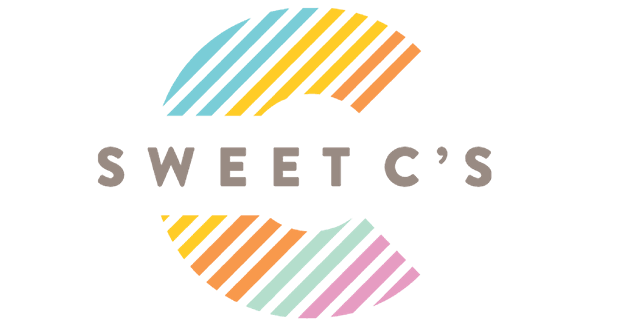 Now- never fear fellow carb-aholics- I’m not going to eliminate them completely anytime soon- but I am trying to up my game a bit and eat some lower carb options as well. One of my favorite things to eat (and keep myself interested in a diet) are tacos. 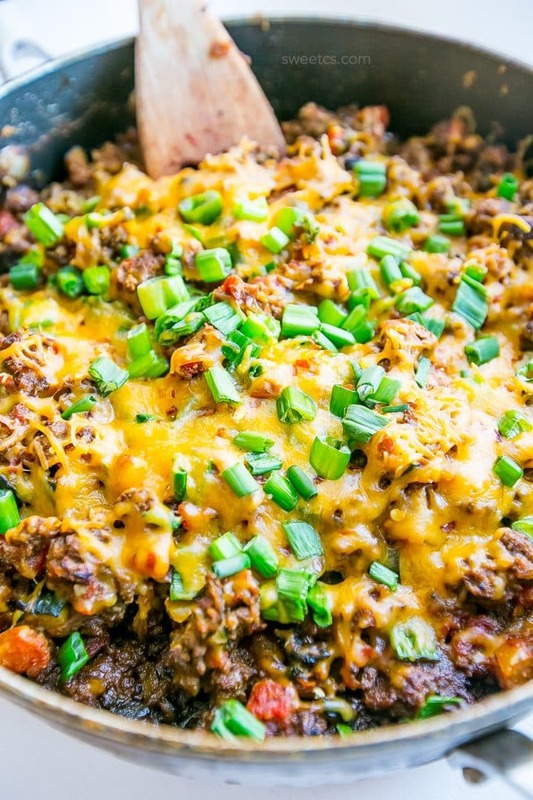 But let’s face it, other than scooping taco bowls over salad (which is still my favorite meal, ever) there aren’t a ton of ideas for eating tacos without, you know, carbs. 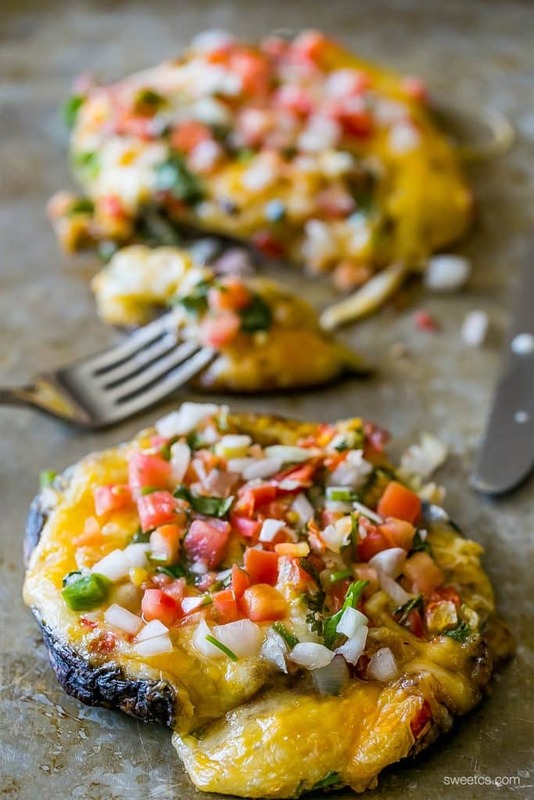 I decided to take another favorite- stuffed mushrooms- and put a taco-loving twist on them! 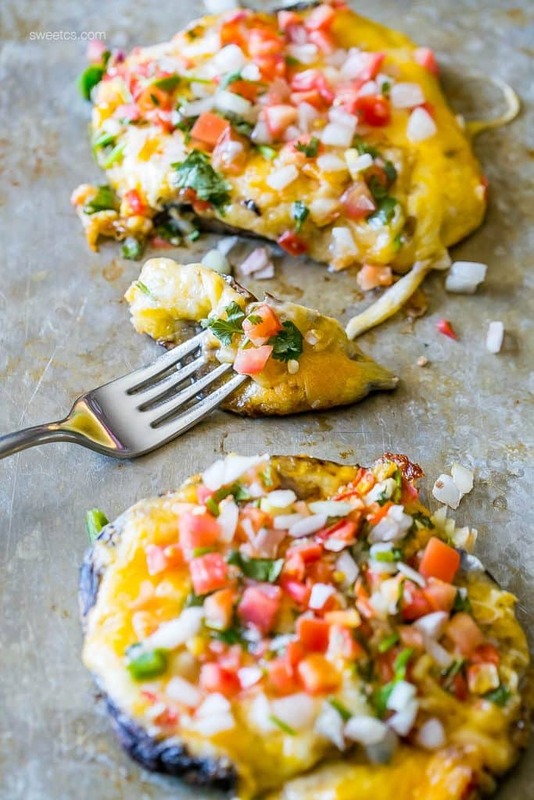 I think you’ll agree, these super-simple “tacos” are amazing! 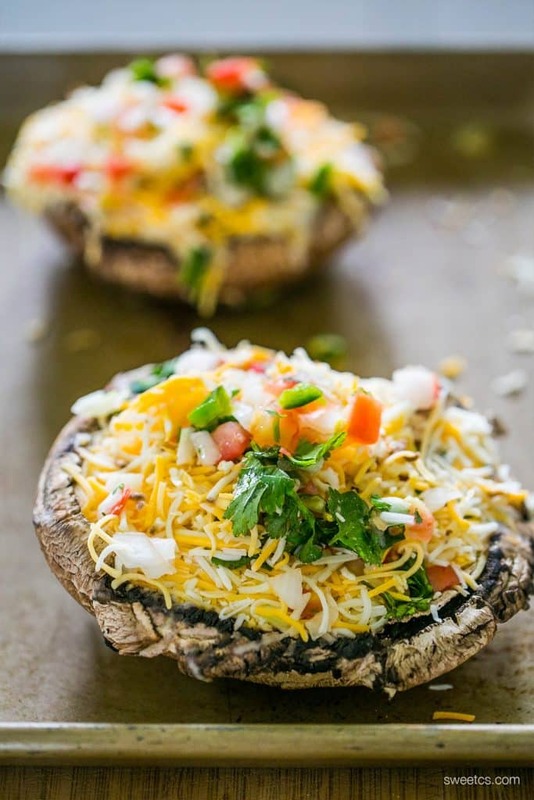 Taco Stuffed Mushrooms Recipe Type : Main Dish Cuisine: American Author: Courtney O'Dell Cheesy, low carb and delicious- this taco stuffed mushroom is full of flavor and is naturally grain and gluten free! Add toppings in the middle of the two mushroom caps. 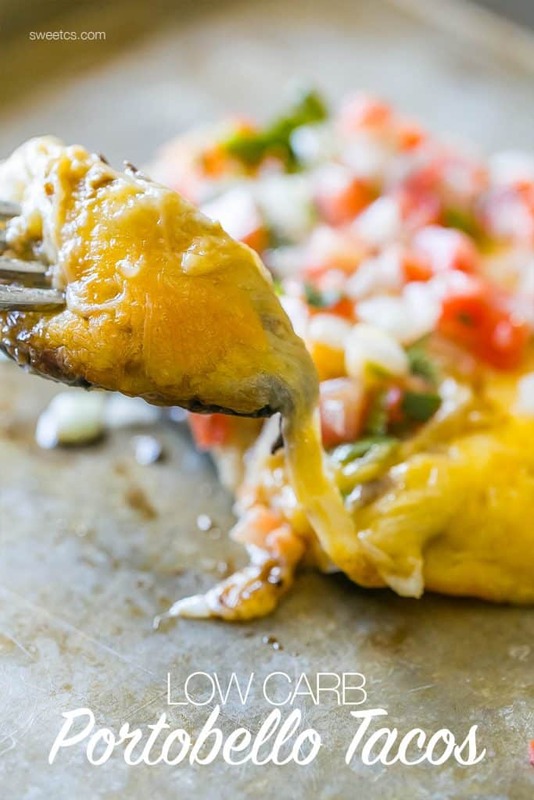 Bake for 15 minutes, or until cheese is bubbly and melted. 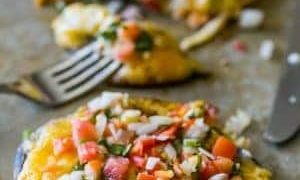 Top with cilantro, more pico de gallo, or salsa. Need more delicious low carb taco ideas? 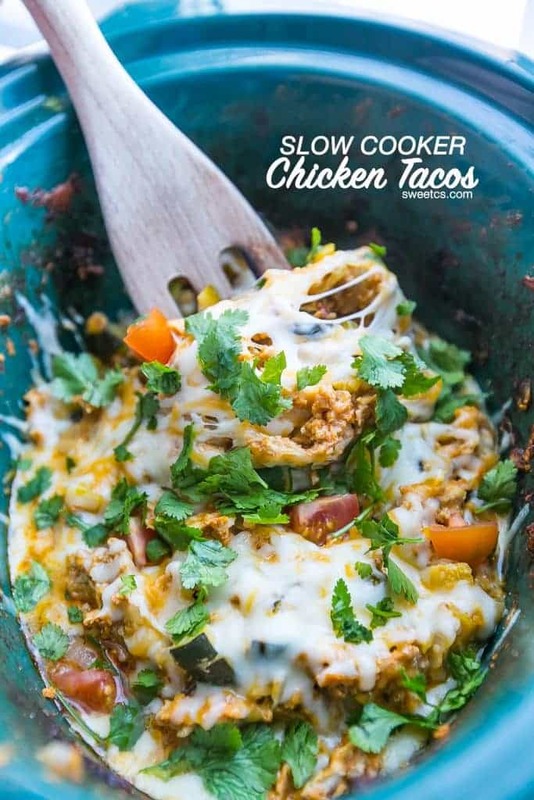 Low Carb Cheesy Taco Bowls and Slow Cooker Chicken Taco Bowls!